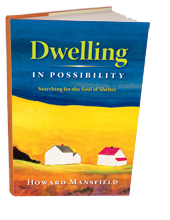 Howard Mansfield talks about his profound and delightful book, Dwelling In Possibility: Searching for the Soul of Shelter. And as we become a country of minorities — including whites — we need to change our outmoded narrative about America. Rebecca Stefoff discusses her adaptation of Ronald Takaki’s classic study of the multicultural history of America into a book for middle and highschool readers. It’s called A Different Mirror For Young People. What makes a home — a place to dwell in, instead of just merely reside in? A place that makes us feel happy to be alive? Why do some places invite us in — and others feel like soulless boxes? 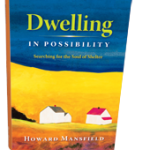 These and many other questions about dwelling are explored by my guest Howard Mansfield in his new book, Dwelling In Possibility: Searching for the Soul of Shelter. Its chapters explore such different branches of the question as: how does losing electrical power in a storm change us; the meaning of the destruction of homes in war; the house as a stage for reverie; and how communities are seeking to bring back homes that encourage relationships instead of consumerism. 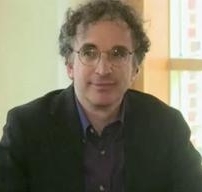 Writing about preservation, architecture and American history, Howard Mansfield has contributed to The New York Times, American Heritage, The Washington Post, Yankee and other publications. He’s also the author of six books, including In the Memory House and The Bones of the Earth. 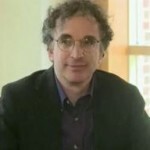 He is on the advisory board of the Monadnock Institute of Nature, Place and Culture at Franklin Pierce University, and the Exhibitions and Publications Committee at the New Hampshire Historical Society. In the second half of this episode of Writers Voice, we move from home to homeland — our American homeland and how it was woven together into a rich tapestry by the many strands of different cultures. Rebecca Stefoff has published a wonderful volume for young people to counter that pernicious traditional narrative. It’s an adaptation of Ronald Takaki’s classic work, A Different Mirror, aimed at middle and high school students. Stefoff tells the compelling stories of the Native American, African American, Mexican, Asian and European peoples who together created this land, fought for justice, and brought their own cultural traditions to the mix. The book, out in paperback from Random House, is A Different Mirror for Young People: A History of Multicultural America. 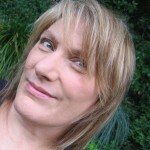 Rebecca Stefoff is the author of more than 150 books, including many nonfiction books for children and young adults, with an emphasis on science and history. In addition, she has adapted the works of historian Howard Zinn, science writer Charles C. Mann, and ethnic studies pioneer Ronald Takaki for young audiences.